Prince Harry and actor Meghan Markle are engaged and are set to get married next year. The pair, who quietly got engaged last month, have been dating for 16 months. The announcement came from Prince Charles - Harry's father, and said: "The Royal Highness, the Prince of Wales is delighted to announce the engagement of Prince Harry to Ms. Meghan Markle. The Queen and Duke of Edinburgh are "delighted for the couple and wish them every happiness," while Prince William and Catherine, Duchess of Cambridge in a statement said they were "very excited for Harry and Meghan...it has been wonderful getting to know Meghan and to see how happy she and Harry are together." The couple will live in Nothingham Cottage at Kessington Palace, where Prince Harry currently stays. 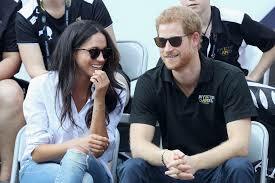 The couple met through mutual friends and were first spotted together at Invictus Game. They will appear for photographs outside Kessington Palace later today, and then take part in an interview to be broadcast in the evening.